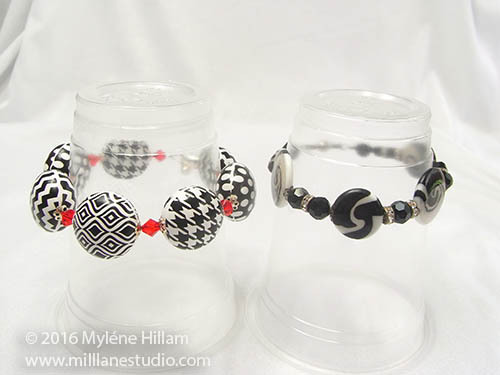 Mill Lane Studio: How Long Should a Bracelet Be? 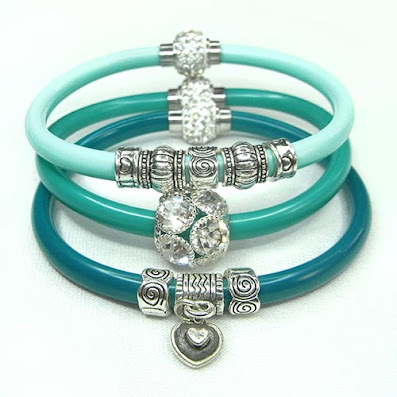 It might seem like a silly question to ask, but how long should a bracelet be? 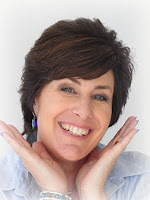 The obvious answer is that it needs to be long enough to fit around your wrist comfortably plus have a little wriggle room. But why is it that an 8" bracelet made with large beads fits snugly on your wrist whilst an 8" bracelet made with small beads seems to swim around your wrist? 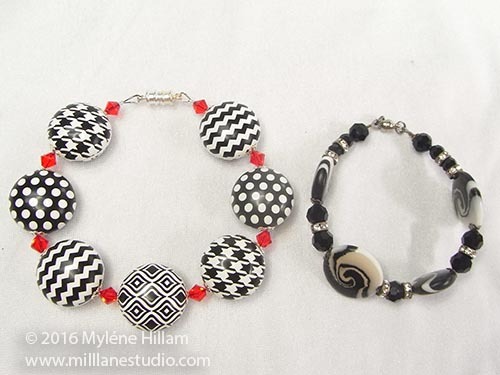 Take these two bracelets: the top one is made with flat Friendly Plastic beads. They are about 4-5mm thick. You can see that it measures 20cm (8") long. The second one is made with puffy metal beads that are 14mm thick and the bracelet measures 24cm (9.5") in length. When you place them side by side you would expect that the bottom one would be sized for a much larger wrist. And when you see the bracelets alongside each other with their clasps closed, it still looks like the one with the larger beads is bigger. But let's place them on two cups with the same diameter..... and all of a sudden, they are the same size! Well, it all comes down to the internal diameter of the bracelet. 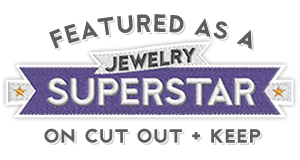 Chunky beads are bulky and they have a thicker diameter so they take up more room inside the bracelet, making the internal diameter smaller. Thinner beads take up less room inside the bracelet so the internal diameter isn't affected as much. So the rule of thumb is, when using chunky beads, always make the bracelet longer than usual to fit around your wrist. And to work out how much longer to make it? 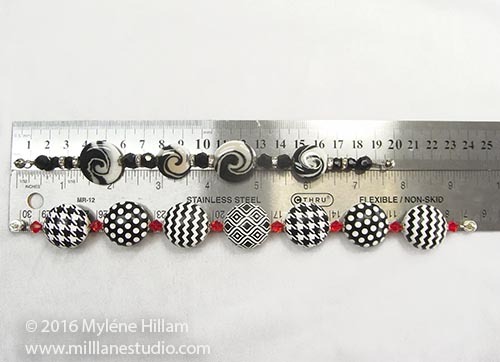 Multiply the diameter of the chunky bead by 3 and add this to the bracelet length for a much more comfortable fit.